Provides health care with a sliding fee scale. Accepts insurance, Medicare, Medicaid, and medical coupons. Provides health care with a sliding fee scale. Accepts Basic Health, Medicare, and medical coupons. Mobile care unit that provides basic health care for little or no cost. Call to confirm dates and location. Full range of medical services including medical lab and pharmacy. Sliding fee scale, Basic Health, Medicare, and medical coupons. Provides primary health services. 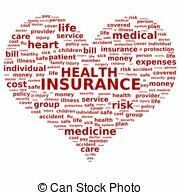 Accepts most insurances, medical coupons, and has a sliding fee scale.